We’ve heard about the sequel to Stephen King’s horror masterpiece The Shining, which is titled Doctor Sleep and follows young Danny Torrance as an adult using his abilities to help the terminally ill pass on painlessly, and that the book is set to hit store shelves on September 24, 2013. But what you might not be aware of is that there’s also a prequel in the works, this one being of the cinematic variety. The prequel is titled The Overlook Hotel, and is of course set before director Stanley Kubrick’s adaptation of King’s book. Nothing else is known about what story the prequel will tell. What is known, however, is who will pen the screenplay. It’s being reported that Glen Mazzara, the man who replaced Frank Darabont as showrunner of AMC’s The Walking Dead (only to later be fired himself) will write the movie’s script. 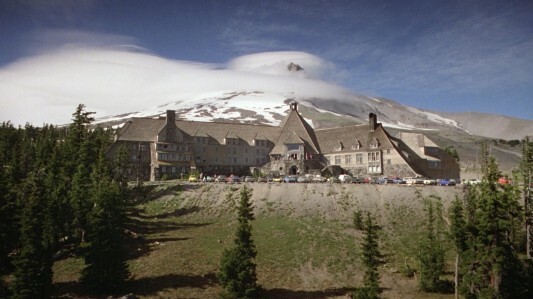 For those who don’t know the story, The Overlook Hotel is the isolated hotel that Jack Torrance (played by Jack Nicholson) and his family agreed to take care of over the winter in The Shining. The hotel is inspired by the very real (and very haunted, according to many believers) Stanley Hotel in Colorado. After King’s first two books were set in his home state of Maine, the author wanted to shake things up. So he blindly pointed to a spot on a map, which turned out to be Boulder, Colorado, and he, his wife, and his two kids (including author and comic book writer Joe Hill), moved there for a year. At one point during this move, King and his wife took a mini-vacation to the nearby Stanley Hotel—the only two guests to be found that particular night; the night before the hotel was closed down for the season—and the experience brought the whole story together. Mazzara has no produced film screenwriting credits yet, but has written plenty of TV episodes, including eight episodes of The Walking Dead, 16 episodes of The Shield, and 26 episodes of Crash.